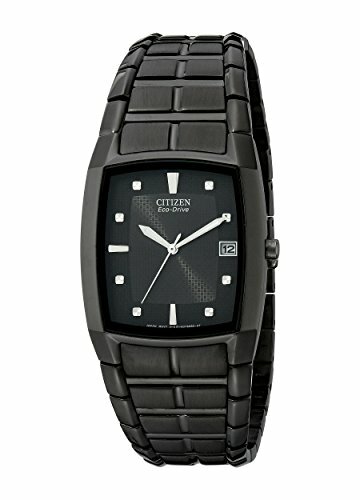 Powerful and understated, this ion-plated stainless steel Watch #BM6555-54E from Citizen's solar powered Eco-Drive Collection combines the elegance of a monochromatic black color palette with the convenience of battery-free operation. 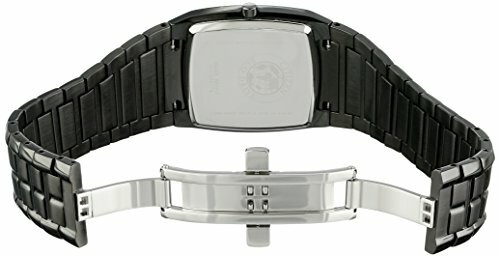 A rectangular case with slightly bowed sides complements a bold black dial with white tipped hands, silver-tone square markers, and a convenient date display at three o'clock. A sturdy bracelet with deployment clasp with push button feels secure and comfortable on the wrist, making this style a pleasure to wear. 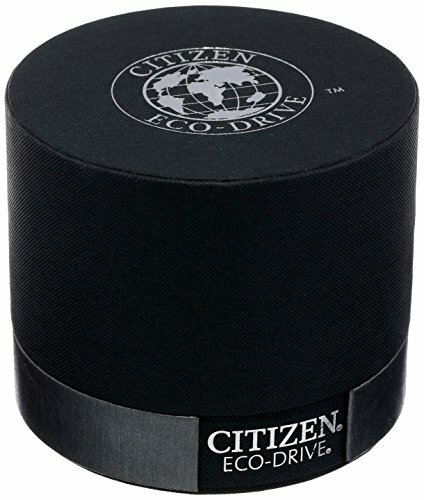 Powerful yet understated, this stainless steel Citizen watch combines the elegance of a monochromatic black color palette with the convenience of battery-free Eco-Drive operation. 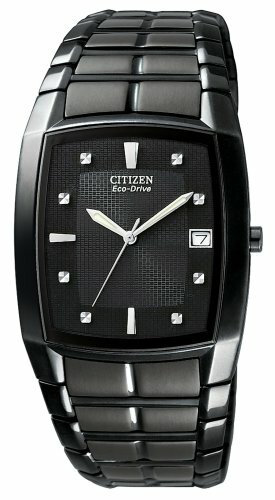 Eco-Drive Japanese Quartz movement charges in natural or indoor light while protective mineral crystal protects the dial.